Stena Line voucher codes - up to off with april 2019 offers! Want to head off on an adventure but don't fancy taking the plane? Why not take a ferry instead? With Stena Line offers you can enjoy great rates on ferry crossings between the UK and popular destinations such as Ireland, France and Holland. More enjoyable and better for the environment than flying, it's a great way to travel – and with a Stena Line discount code you can make big savings when you book. Founded in 1962 in Gothenburg, Sweden, Stena Line started life with one route travelling between the city and Fredrikshaven in Denmark. Over the years, the company has launched several freight and passenger routes between European countries, becoming one of the world's largest ferry operators and the largest privately owned shipping company. 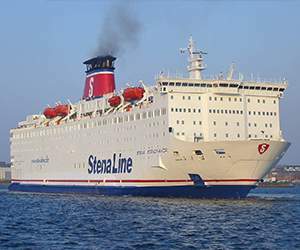 Operating in Scandinavia, the North Sea and the Irish Sea, Stena Line has a network of 22 strategically located routes and provides connections serving Denmark, Germany, Ireland, Latvia, the Netherlands, Norway, Poland, Sweden and the United Kingdom. With over 7 million passengers and 1.5 million cars travelling with them every year, they're an affordable and reliable choice for anyone looking for a simple travel alternative to flying by plane. Planning a holiday and want to enjoy a leisurely start? Forget waiting around in bustling airports and cramming into a tiny seat for several hours – travelling by ferry is a far more comfortable choice. Whether it's a quick hop across the channel to France or an overnight journey to Holland, Stena Line offer a fantastic way to start your adventure with a bang. All of Stena Line's ships are top-of-the-range, with the very highest safety and security measures in place, and offer plenty of comfortable facilities where you can relax and enjoy your journey. For shorter journeys you'll find bars, restaurants and shops on board, while vessels undertaking longer journeys offer a choice of overnight accommodation on their new modern Superferries. Why not treat book a luxury cabin, enjoy some entertainment and treat it like an extra night of your holiday? As well as direct ferry crossings, Stena Line offer a range of booking options that will help take the hassle out of booking your trip. 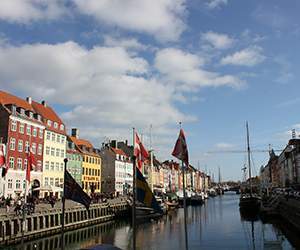 Their Rail and Sail packages offer travel all the way from London to Amsterdam starting at just £49, while their hotel packages allow you to enjoy savings of up to 20% on your crossing when booking your accommodation at the same time. 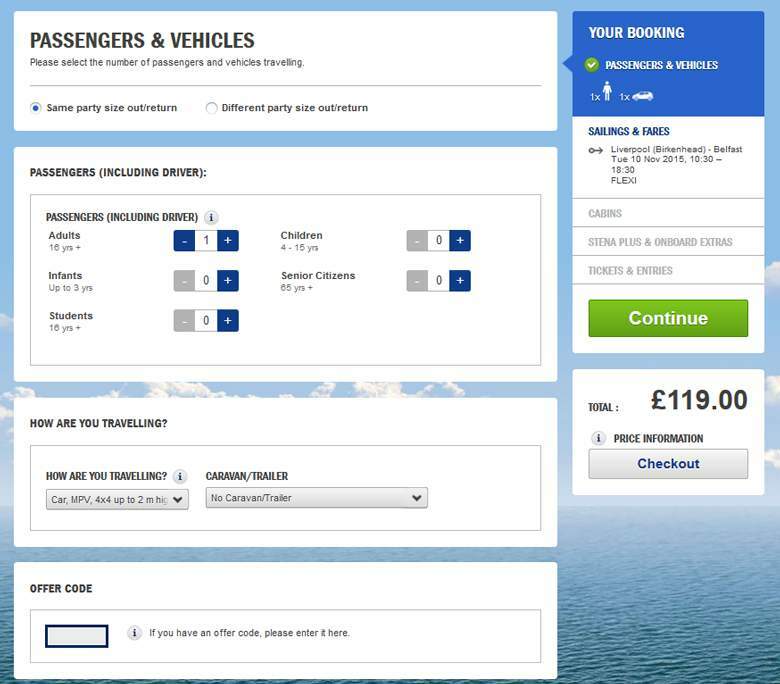 Want to get booking with Stena Line? With Stena Line offers you can enjoy fantastic discounts on all of their ferry routes across Europe. So whether you're planning a family holiday or a business trip, Stena Line voucher codes will save you money while you shop. 22 routes connecting 9 countries across Europe including France, Holland and Ireland. Browse our website until you find the Stena Line offers that are right for you, then navigate to their website to begin searching. Enter your journey details in the box on the left hand side of the page. Enter your Stena Line promo code in the box provided and click 'Continue'. Want to find out more about exciting adventures by sea with Stena Line? Why not pay a visit to their dedicated YouTube channel here? You'll find lots of exclusive content including behind the scenes videos, ferry tours, destination guides and much more. You can also use this channel to find out more about saving money with a Stena Line discount code. 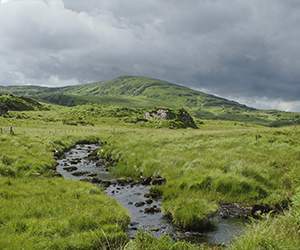 If you've enjoyed booking your travel with Stena Line, you might also like to check out great deals on holiday accommodation and more at sites like lastminute.com and booking.com. Or, if those aren't right for you, you'll find plenty more deals to browse in our Travel section. Enter your Stena Line offers in the box provided and click 'Continue'. Choose your sailings and click 'Continue'. Choose your accommodation and click 'Select cabin'. Choose your payment method and click 'Continue to payment'. Need to speak to the team at Stena Line? Whether you have a question about your booking, would like some travel advice about your destination or simply want to find out more about how you could make big savings with Stena Line voucher codes, you can contact the Customer Services department by accessing the online help centre here. Want to discover more from Stena Line? The company maintains a profile across all your favourite social media networks. Follow them to enjoy access to lots of interesting content including special offers, competitions, travel news and more. You can also use these pages to find out more about saving money with a Stena Line voucher code. Don’t forget to check them regularly, as you can never be sure when free Stena Line vouchers might be waiting for you! 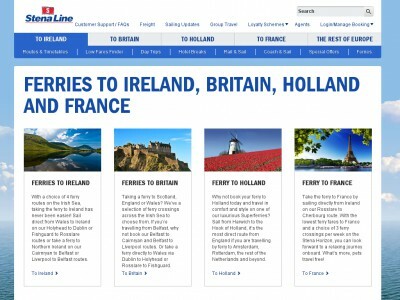 Buy now online at www.stenaline.co.uk. My sister and I wanted to go on holiday to Amsterdam, but she has a bad fear of flying. Then I discovered a Stena Line discount code online! Stena Line offers an opportunity to travel by train from London all the way to Amsterdam via an overnight ferry – just one of many adventures you can book at stenaline.co.uk. I used my Stena Line voucher codes to get a great deal on travel, a crossing and accommodation for two. So why not save on your next adventure with Stena Line offers?